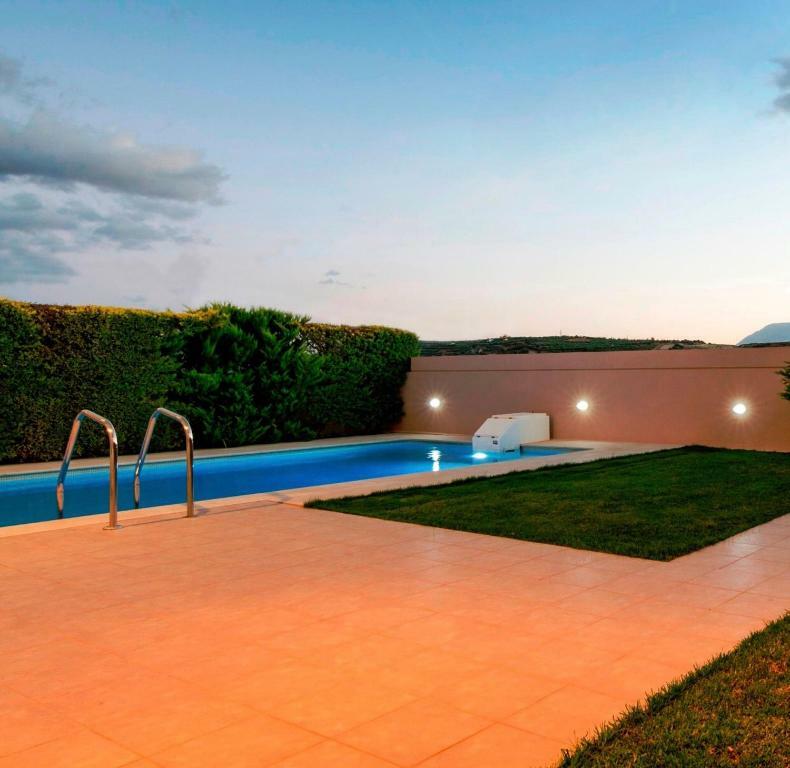 Appartamento Luxury Maisonette in Heraklion with private pool. 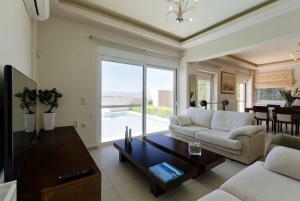 Luxury Maisonette in Heraklion with private pool. Situata ad Áno Fortétsa, a 17 km da Watercity, la Luxury Maisonette in Heraklion offre una piscina privata. Dispone di giardino con barbecue e connessione Wi-Fi gratuita. L'appartamento vanta una piscina all'aperto, un centro fitness e un salone in comune. Questo appartamento climatizzato presenta 1 camera da letto, una TV satellitare a schermo piatto e una cucina con lavastoviglie. A vostra disposizione anche 2 bagni con vasca. 8 km dall'Aeroporto Internazionale di Heraklion, lo scalo più vicino. 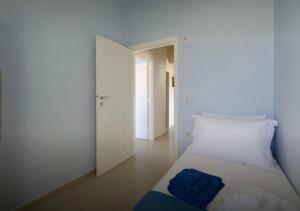 Quando vuoi soggiornare presso Luxury Maisonette in Heraklion with private pool.? The "Luxury Maisonette" situated in a very quite area of Heraklion city, only 4km away from the city. Can accommodate 7 people and offers an outdoor pool and many other amenities. Opening to balconies and to a garden with view to the mountains, valley and the sea. 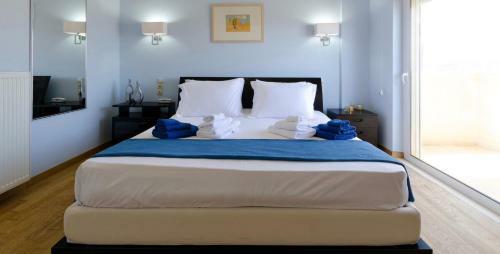 The villa is located in Heraklion city, only 4 km away from the city center. 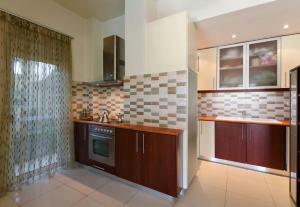 It is luxurious built over 2 level and has a private garden with BBQ and with shower tray with hot and cold water. Seven people can e spaciously accommodated in it's 4 bedrooms. 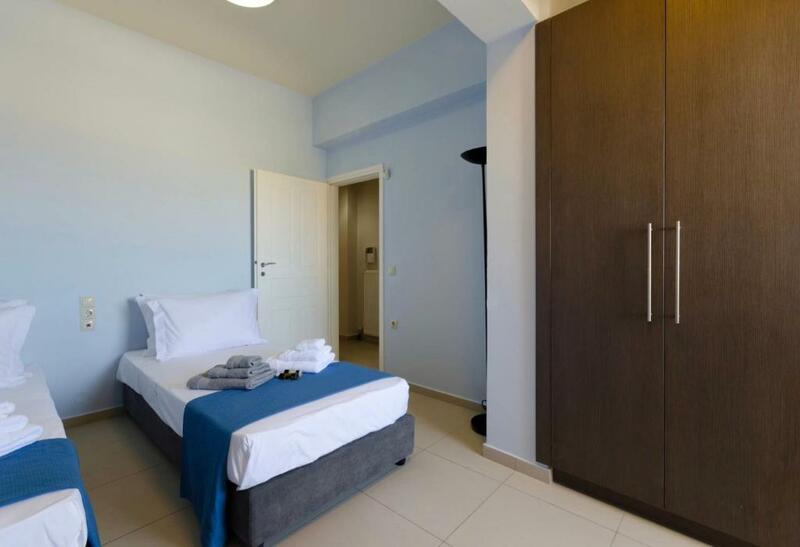 It is fully air-conditioned, has central heating, free internet connection all around the maisonette and even a security system is also installed in the house. The view from the garden and bedrooms is breath taking, overlooking the lowlands, the sea and the mountains. Watching the view in the sunset will help you relax and enjoy your visit in Crete. On the ground floor there is the living room, a small corner of which is dedicated to gym equipment. It is equipped with the smart 55" led TV with home theatre. 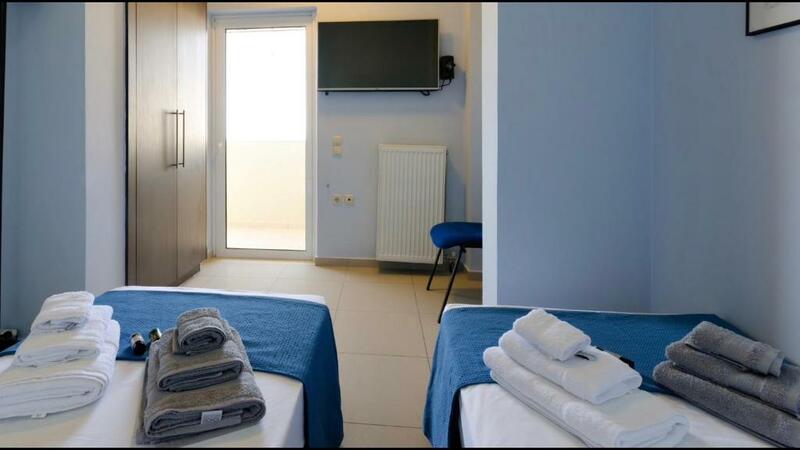 Sat TV channels are available for free with a great variety of foreign channels.The kitchen is furnished with oven, microwave oven, dish washer & a large fridge. 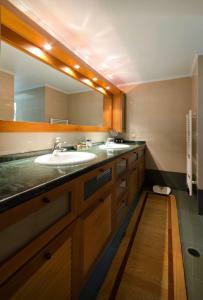 I am glad to help you at anytime and make your accommodation comfortable and unforgettable. 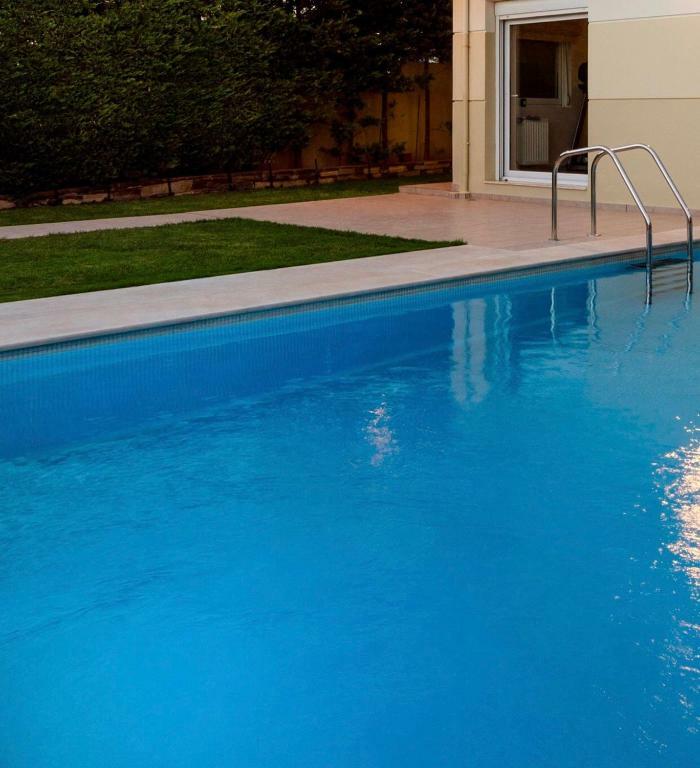 Leggi prima di prenotare Luxury Maisonette in Heraklion with private pool. accetta le richieste speciali. Aggiungile nel prossimo passaggio! Gratis! Fino a 3 bambini di età inferiore a 16 anni soggiornano gratuitamente (pernottando nei letti presenti). Per calcolare il punteggio sono necessari almeno 5 giudizi. Puoi contribuire anche tu: prenota Luxury Maisonette in Heraklion with private pool. e dopo il soggiorno lascia una recensione!